Skiing sensation, Jonny Moseley, born August 27, 1975, is the first Puerto Rican to become a member of the U.S. Ski Team. Jonny Moseley was born in San Juan, Puerto Rico, and started skiing when he was 9 years old. His brother dared him to ski, and he did. Ever since then he has been skiing. He entered his first competetion soon after he started skiing. In 1978, he saw snow for the first time when his family went on a trip to California. Eventually, his family moved to Tiburon, California, a suburb north of San Francisco where he attended The Branson School in Ross, California. His family would go to the Sierra Nevada every weekend. This and the fact that he was a better skier than his brothers inspired the then 9 year old Moseley to take skiing lessons. 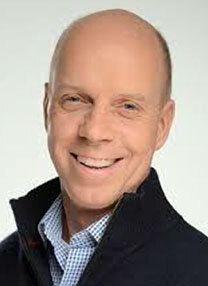 In 1992, he joined the Squaw Valley Freestyle Ski Team and soon won his first Junior National title in Freestyle Skiing; he graduated from high school in 1993 and that same year was selected for the U.S. Ski Team. Moseley tried but did not qualify for the 1994 Winter Olympics held at Lillehammer, Norway and became determined to qualify for the 1998 Olympics. In 1995, he enrolled in the University of California, Davis but, his education was interrupted by his intense training ; it wasn't until 2000 that he resumed his studies. The following year, he won his first World Cup Mogul. 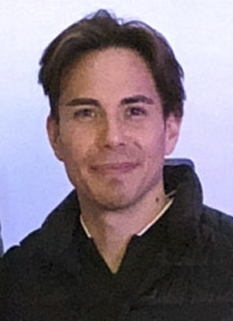 In 1998, Jonny Moseley participated and won the first two World Cup events of the year; this led to his participation in the 1998 Winter Olympics held in Nagano, Japan where he won a gold medal. Later that year he secured the 1998 World Cup Mogul Skiing title with nine wins that season. He also won the U.S. National title. In 1999, Jonny Moseley challenged the International Skiing federation to change their policy and to allow their athletes to participate in professional events, such as ESPN's X Games. In 2000, Jonny Moseley won the U.S. Freeskiing Open and in 2001 regained a spot in the U.S. Ski Team at the World Cup qualifications held at Sunday River, Maine. 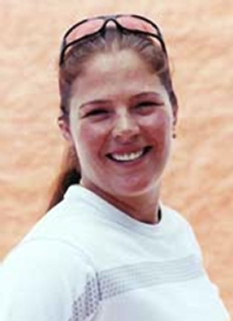 In 2002, Moseley competed but came in fourth place in the Olympic Games. Jonny Moseley has received nunerous honors and recognitions. San Francisco Mayor Willie Brown declared a "Jonny Moseley Day" and handed him the "Key" to the city. He was named "Sportsman of the Year" in 1998) by the U.S. Olympic Committee and has been featured on the cover of Freeskier and Rolling Stone magazines. Moseley launched a web site which sells products with his logo on them and has appeared on Ads for McDonalds, Sprint and Budweiser. He graduated from the University of California, Berkeley on May 17, 2007 with a B.A. in American Studies focusing on Consumer and Popular Culture. Jonny Moseley performed trick jumps on the streets of San Francisco in the ICER AIR event on September 2005 then at AT&T Park in 2006 and 2007. He hosts the annual big-air ski and snowboard event. "The Dinner Roll is a trick I developed for the ’99 X-Games. It’s a 720 degree off axis rotation, wherein you ski off the jump, do two full rotations, one on the horizontal plane and the other on the vertical plane. At the X-Games where everything is "extreme" and "rad" the jumps are big, and you have lots of time in the air. The Olympic moguls course is a whole different ball game. It’s steep, with tight turns, and a small narrow technical jump, with an unforgiving landing. The trick was so new that we had to appeal to the Olympic Skiing Federation in order just to do it. We had to show them that it fell within their rule stating "no inverted tricks in the moguls" and also prove that it was not dangerous. After lobbying and video explanation we pushed it through by one vote, much to the chagrin of the European countries." Jonny Moseley married Malia Rich, a business manager, on March 25, 2006, in Telluride, Colorado. On September 4, 2007, Rich gave birth to the couple's first child, named Jonathan William Moseley, Jr. "Jack" in San Francisco, California. DISCLAIMER: PFP Sports Talent Agency does not claim to represent itself as the exclusive agent for Jonny Moseley. PFP Sports Talent Agency is a booking agency that represents organizations seeking to hire pro athletes and sports personalities such as Jonny Moseley for speaking engagements, personal appearances, product endorsements and corporate entertainment. Fees on this website are estimates and are intended only as a guideline. Exact fees are determined by a number of factors, including the location of event, the talent’s schedule, requested duties and supply and demand. PFP Sports Talent Agency makes no guarantees to the accuracy of information found on this website and does not warrant that any information or representations contained on this website will be accurate or free from errors. We are often asked how can I find out who is Jonny Moseley's agent? To find Jonny Moseley appearance fees and booking agent details, you can contact the agent, representative or manager through PFP Sports Talent Agency for speaking fee costs and availability. PFP Sports Talent Agency can help your company choose the ideal sports personality for your next marketing campaign. 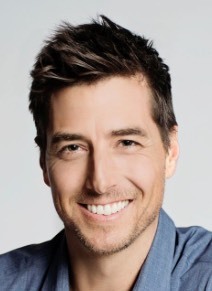 To hire Jonny Moseley for an appearance, speaking event or endorsement, contact Jonny Moseley's booking agent for more information.